The preponderance of matter over antimatter in the early universe, the dynamics of the supernova bursts that produced the heavy elements necessary for life and whether protons eventually decay — these mysteries at the forefront of particle physics and astrophysics are key to understanding the early evolution of our universe, its current state and its eventual fate. Why are neutrinos important? The discovery a couple of decades ago that neutrinos have mass, contrary to what was previously thought, has revolutionized our understanding of neutrinos while raising new questions about matter, energy, space and time. Neutrinos may play a key role in solving the mystery of how the universe came to consist of matter rather than antimatter. They could also unveil new, exotic physical processes that have so far been beyond our reach. Are neutrinos the reason matter exists? What objects out in space are making the most energetic neutrinos ever seen? How much do neutrinos weigh? We know there are three flavors of neutrinos, but are others lurking just out of sight? Every neutrino we’ve ever seen has been left-handed. Where are all the right-handed neutrinos? Are the neutrino and its antimatter twin actually the same particle? DUNE will use neutrinos to study three separate phenomena: matter-antimatter asymmetry, the stability of matter, and the dynamics of supernovae. 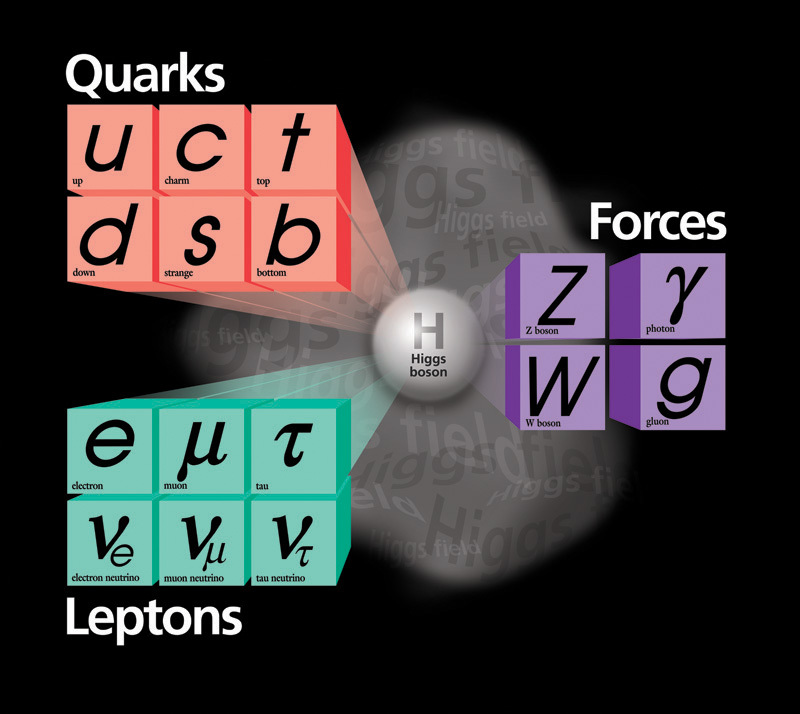 The Standard Model classification of the known subatomic particles — the building blocks of the universe. The three “flavors” of neutrinos (shown as ν in green squares) are each associated with a charged particle: electron (e), muon (μ) or tau (τ). Experiments carried out over the past half century have revealed that neutrinos are found in three states, or flavors, and can transform from one flavor into another. These results indicate that each neutrino flavor state is a mixture of three different nonzero mass states, and to date offer the most compelling evidence for physics beyond the Standard Model. In a single experiment, DUNE will enable a broad exploration of the three-flavor model of neutrino physics with unprecedented detail. Chief among its potential discoveries is that of matter-antimatter asymmetries (through the mechanism of charge-parity violation) in neutrino flavor mixing — a step toward unraveling the mystery of matter generation in the early universe. Independently, determination of the unknown neutrino mass ordering and precise measurement of neutrino mixing parameters by DUNE may reveal new fundamental symmetries of Nature. Grand Unified Theories, which attempt to describe the unification of the known forces, predict rates for proton decay that cover a range directly accessible with the next generation of large underground detectors such as DUNE’s. 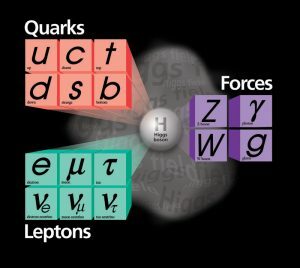 The experiment’s sensitivity to key proton decay channels will offer unique opportunities for the ground-breaking discovery of this phenomenon. 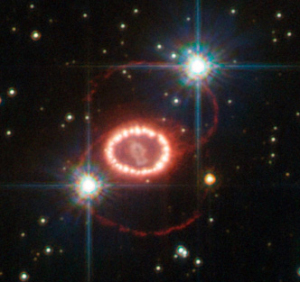 Particle detectors were able to record a few of the enormous number of neutrinos emitted by supernova SN1987A, here shown in a Hubble Space Telescope photo. Neutrinos emitted in the first few seconds of a core-collapse supernova carry with them the potential for great insight into the evolution of the universe. DUNE’s capability to collect and analyze this high-statistics neutrino signal from a supernova within our galaxy would provide a rare opportunity to peer inside a newly-formed neutron star and potentially witness the birth of a black hole.